Jesus is seen kneeling, there is a small dove above his head, probably representing the Holy Spirit. Leask, H.G., , ‘Irish Architecture and Sculpture during the Early Christian Epoch’. 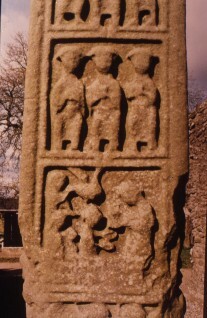 In Christian Art in Ancient Ireland (1941) 77-86.